The Colombian Jarlinson Pantano, who currently plays in the Trek, tested positive for EPO in a control out of competition last February. Is suspended. 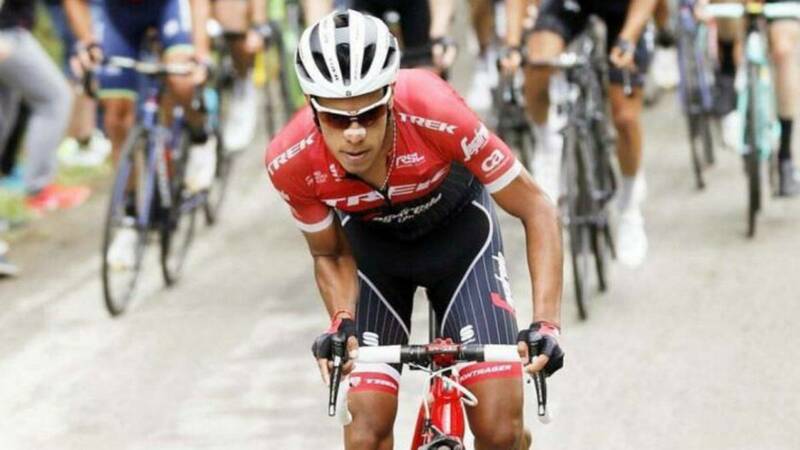 Jarlinson Pantano (30 years old), from Trek-Segafredo, is temporarily suspended by the UCI after he tested positive for an anti-doping test carried out on February 26, out of competition. In this test, Pantano tested positive for EPO. This control was carried out by the CADF, the independent body commissioned by the UCI, in the anti-doping strategy applied to cycling. Now, Pantano has the right to request the analysis of sample B, , although after this it is provisionally suspended. This season, the Colombian has participated in the Tour Down Under, the Cadel Evans Race, the Herald Sun Tour, the Tour du Haut Var, the Paris-Nice and the Volta a Catalunya, where he left in the first stage. Has not achieved any top ten in 2019. Eso yes, in his track record has victories of stage in the Tour de France, in 2016, in the Tour of Switzerland, that year, and in the Volta a Catalunya, last season. All are World Tour races. This is his third campaign on the Trek, and he had a fourth for 2020, but the team has already made a statement: "We are tremendously disappointed with our runner, Jarlinson Swamp" . At the moment, it is separated from the team.